A recent survey carried out by a mental health organisation found that of the people surveyed, a staggering 47% feel stressed every day with 59% feeling more stressed than five years ago. According to the 2014 HSE report, the number of days lost to work-related stress has remained broadly flat for more than a decade, but the trend for males has been on the increase and 45 to 54 year-olds are at a much higher risk. While writing an article on how leaders embarking upon a change program should construct a “call to arms” that will resonate with and compel action, I came across a TED speech given by Sophie Scott earlier this year on “Why we laugh”, a random line of enquiry indeed! Chief among her shared insights was an important finding from Professor Robert Levenson whose team is looking into the role emotion plays in interpersonal interactions. His work with couples has led to the observation that those employing humour and laughter deal with stressful situations better and that these same couples report higher levels of satisfaction in their relationships and stay together longer on average. Laughter it would seem is a phenomenally useful index of how people are regulating their emotions together and how resilient they might be when presented with a challenge. Clearly, laughter is not a mere signal that we are amused or entertained, or a way of showing we like each other, but a vehicle for promoting the production of “feel good” endorphins which make everyone feel better together. In business, there’s always a risk that we’ll lose sight of what’s funny in the immediate situation. Sometimes we need a little injection of humour from someone who knows us well enough to “hit the right nerves”, reminding us that life’s not all about work! But where should we be looking for that inspiration, and who is naturally positioned to play this part in your workplace, helping you see the comedic thin line that separates laughter and pain, comedy and tragedy, humour and hurt? In the world of KPI’s and PI’s, how prominently should a laughter index feature? Could a simple score sheet on the number of times a team laughs together during the day, week, month become a powerful indicator of team bonding and resilience? As a leader in your business and given the emerging connection between laughter and the longevity and resilience of the relationships enjoying it, can you afford to ignore its significance? I first came across the term Critical Non Essentials whilst reading Sir Clive Woodward’s autobiography following his Rugby World Cup victory in 2003, however the phrase was originally coined by Dr. Paddi Lund, a dentist in Australia. The phrase has stuck with me over a number of years as I believe it is the perfect description that can encompass how you go from a good business to an outstanding business, ie. from a World class rugby team to the best rugby team in the World. Nearly selling your product to selling it every time, it is a phrase relevant to all walks of life and business. The Critical Non Essentials (CNE’s) are the parts of your business, your sports team or your customer service that differentiates you from the rest of the competition; it gives you the winning edge over your competitors. Critical Non Essentials are the components of your business that are not strictly necessary in order to operate as your chosen business, but it is how you ensure the quality of your customer service is superior to your competition. It is important to be reminded that what a customer remembers about your business is not necessarily associated directly with your core offering. Think about your favourite shop… why is it your favourite? They don’t do anything particularly different from any other shop but there is a constantly crisp, clean smell to the store, the assistants recognise you and can recommend items, or they may even offer you a drink while you browse. They don’t have to do this, it doesn’t define them as a brand, but together they convince you to return to their shop rather than any other. Customers like to feel they are getting something over and above what they are paying for. Dr.Paddi Lund uses the examples of addressing your customers by name when they arrive at the dentist and the fresh flowers and coffee machine that await the customers in the waiting area. Alone, these essentials don’t win business or define dentistry but together they give you the winning margin against other dentists nearby. 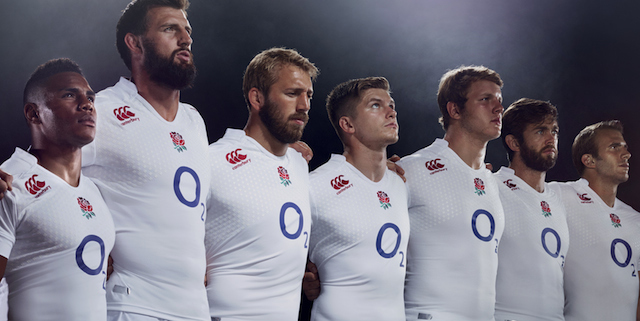 The England Rugby team didn’t win the World Cup because they had developed a skin tight jersey (to make tackling more difficult) or because they worked with a peripheral vision coach, or because they now change their kit at half time to ‘focus the mind’, but because they did all of these and did them well. The culmination of these Critical Non Essentials allowed the team to possess the additional 1% in performance to set themselves apart from the competition. As technology advances and margins diminish through more competitors arriving in the market place, the Critical Non Essentials in any business are going to be the difference between you and your competition. As your business progresses alongside your competitors, what are the Critical Non Essentials that will differentiate your business from the crowd? By Charlotte Cousins, ref: http://www.paddilund.com/content/view.asp? The recruitment process may be a bit different within every company, but some universal tips can help you prepare for any consulting position. Paul Eastwood, Business Unit Director here at Coriolis, was kind enough to share his insights on how recruiting has changed over time and what his advice is for potential recruits. Paul Eastwood is a Business Unit Director for Coriolis Ltd, and has recently established Coriolis Consulting PTY Ltd in Australia. Resilient, determined and goal-focussed. Who wouldn’t want to hire someone with those qualities? When someone has looked their darkest hour in the face and carried on regardless of pain and suffering – then, they’re probably the kind of person you might like to work with. Success over a marathon race looks a lot like success in consultancy, or business in general – it takes determination, resilience and an incredible passion to drive towards a goal despite adversity. There are admittedly fewer blisters sustained in the workplace, but the analogy stands pretty strong. Who doesn’t want someone by their side who can go the extra mile? A recent study of 1,500 companies found that having a CEO who had run a marathon in the past year was associated with improved firm value to the tune of a whopping 5%. When CEOs with the most stressful roles were compared, this effect rose to 8-10%. The study attributed this effect to “positive impact of fitness on cognitive functions, performance and stress coping” – all strengths I’d love to see in a boss or a colleague. 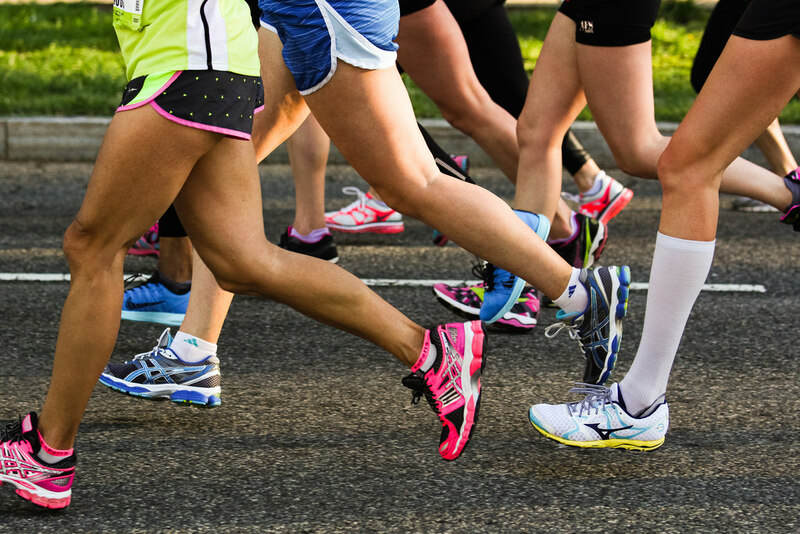 At Coriolis we’ve got a disproportionate number of marathoners in our team, considering that only 1% of the population has completed the distance. I was bumped into company-wide Bronze Medal holder a couple of months ago by my manager’s great showing at the Virgin Money London Marathon. True to form though, this hasn’t made me frustrated or annoyed, just more determined to train hard and get faster for my next race. Are big brands shying away from free-from? And is the free-from trend the best thing since sliced bread for producers? With 1 in 100 people now diagnosed as having Coeliac Disease in the UK, and as many as 500,000 undiagnosed cases, new gluten-free offerings seem to be appearing on our supermarket shelves almost daily in order to satisfy the needs of this mounting consumer group. The UK free-from market doubled between the years of 2009-2014 reaching £365m, according to Mintel. Much of this growth has been driven by the expansion of the gluten-free market, which accounted for 11.6% of all new product launches in 2014. Will this trend help or hinder food manufacturers? Interestingly, smaller brands seem to be taking the lead in this £0.5bn industry. This may be as a result of their manufacturing processes being put in place to cater for free-from product development from the start. Bigger brands have been considerably slower on the uptake, which may be due to less agile manufacturing lines, and the need to ensure zero contamination from traditional (non-free-from) product offerings. Considering a seemingly sliding scale of severity when it comes to gluten intolerances, and the fact that some choose a gluten-free lifestyle for the health benefits, the market may just be particularly tricky to judge. With the bakery sector cutting a particularly large slice of the free-from market, Warburtons recently invested £5m in a dedicated gluten-free and wheat-free bakery in Newburn, Newcastle. Likewise, Doves Farm Foods has recently invested by undertaking a complete conversion of their Wiltshire bakery to a free-from environment. With commitments of this scale from the likes of Warburtons, it is evident that this trajectory of 25% growth per annum doesn’t appear to be slowing down any time soon. In terms of consumer trends, reportedly 29% of 18-24 year olds have cut gluten out of their diet, not only as a result of coeliac or an intolerance diagnosis, but also having considered the reported health benefits. Consumers buying free-from products are educating themselves on what is in their food more than ever, and experimenting with not only free-from products, but gluten-light choices such as Rye bread. 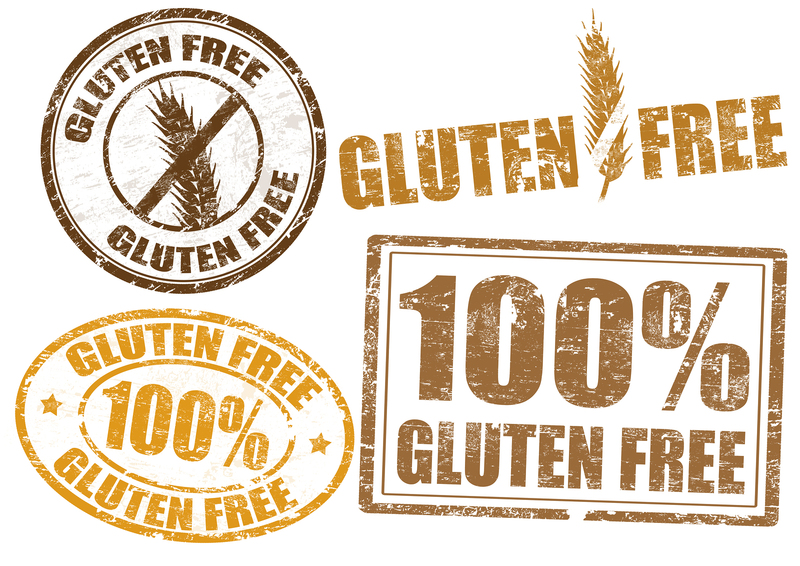 As a result, gluten-free or gluten-light is now viewed as a healthy lifestyle choice for many. Consumer’s supermarket habits should be carefully analysed and considered, with ongoing monitoring of trends. This will help product teams to gain an understanding of whether consumers are actively seeking out a free-from alternative in the specialist aisle, or whether they are making a less conscious decision to try an equally appealing (albeit rather more expensive) alternative which is sidled up to their usual brand in the mainstream shopping aisles. The biggest challenge facing producers is to exert control over their supply chain before inbound goods, ensuring ingredient segregation. Different coloured food contact equipment in your factory doesn’t cut it anymore – separation must be absolute. When they created a range of gluten-free products, oat-specialists Nairn’s developed an entirely separate supply chain for those ingredients. On lines that produce both gluten and gluten-free products, all equipment must be cleaned to an incredibly high standard, and swabbed between runs, resulting in downtime. One bakery I worked at recently even separated the gluten-free and ordinary bake houses by a road! Sound like a lot of effort for a company to go to? Not when the payoff for such diligence is potentially so massive. Consumers are willing to pay more for the peace of mind that goes with the free-from designation. At Tesco’s currently, regular Nairn’s oatcakes are sold at 99p for 291g, while their gluten-free counterparts are £1.50 for just 160g. In other words, per gram, the gluten free product sells for 275% more. For a near-identical product, the greater effort is worth the reward. This is a trend echoed across the marketplace, as major players from Kellogg’s to Kingsmill vie to put their offerings on the shelves, at higher price points than their ‘ordinary’ products. Considering a gluten-light diet we’ve learnt that there are a surprising number of foods which can still be eaten – big brands that don’t indicate wheat in their ingredients, but still could be dangerous to those with coeliac disease given the manufacturing process. Significantly in the Nairn’s case, oats are themselves gluten-free – the company clearly did not feel confident in their supply chain to label their product as such. Having separated their supply, they then built a dedicated gluten-free processing plant alongside their historic Edinburgh factory. They now say with confidence that the range is gluten-free, and have a “crossed grain” logo from Coeliac UK to prove it. There really is nowhere to hide from the rise of free-from, with frozen meals from the likes of Amy’s Kitchen, and a likely continued increase in the snacking category with a demand for low calorie gluten-free products too. Consumer demand for free-from products which don’t compromise on taste or quality is still there. Larger companies must take their processing expertise and purchasing power, and apply it to free-from ranges to drive down costs, from tractor to toaster. Combine these with a marketplace willing to pay a premium for these products, and the segment surely takes the (gluten-free) biscuit for producers going forward.